Packed with our best selling rubs and sauces! Great for any occasion. 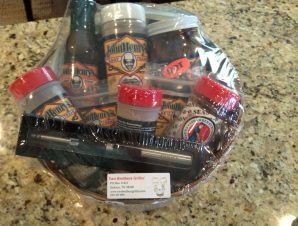 Order with your favorite rubs and sauces or let us select our bestsellers. This basket also includes a stainless steel Cobb lighter.